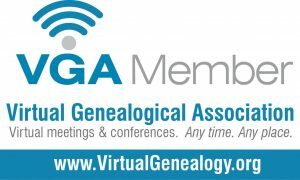 If you’ve ever searched for genealogy groups on Facebook you know there are oodles of them. It seems that every area of the world has their own page designated to their specific area. Some are awesome…and some are not…but I’m here to tell you about some cool kids that I’ve met. I stumbled on the Irish DNA Group by accident. I had hit a brick wall while researching my Grandfather’s family and was desperate to find a crack in the wall. I did a search and found the Irish DNA Group. I quickly read through the “about” section and realized this could be what I’ve been looking for! The purpose of the Irish DNA Group is assist those with potential Irish DNA. To connect users with possible cousins and others who are doing research in a given area of Ireland. To get started, all you need is to have taken a DNA test and have uploaded that DNA to GedMatch. When you click join, you will answer a short questionnaire. Once approved by the moderators, you will be then able to run Matchbox Tool. This is where you will find your matches. Matches are pulled from other members of the Irish DNA Group. You will find that just because you match some in the Irish DNA Group, it does not necessarily mean that you share Irish ancestry. I was able to connect with a cousin where both of our ancestors were from Tennessee. The great thing about DNA is that you never know what you’ll find! Go and check out the Irish DNA Group. They have a ton of information on how to get started and what to do with your results. You can find a link to the group below! Previous Post What Is GedMatch and How Do I Use It?